A bestseller that can change your life ‘’I dream of a world in flames: nuclear bombs falling on cities, consuming them like cancer; surviving in underground shelters, where we slowly turn into animals. These dreams are so lifelike. I’m afraid that one day I’m going to want to wake up, only to find it’s too late.’’ Tomáš is a young man in the prime of life. Though he appears to lack nothing, he is becoming increasingly depressed. At work things are going from bad to worse, and he gives up his vain efforts to revive his relationship with Eliška, his wife. As if that weren’t enough he is haunted by post-apocalyptical dreams of despair. His depressive state does not lift until he gets to know the eccentric therapist Kohl, who shows him how to be a better, happier person, but that is just the start of Tomáš’s story, which ends in a thrilling finale. 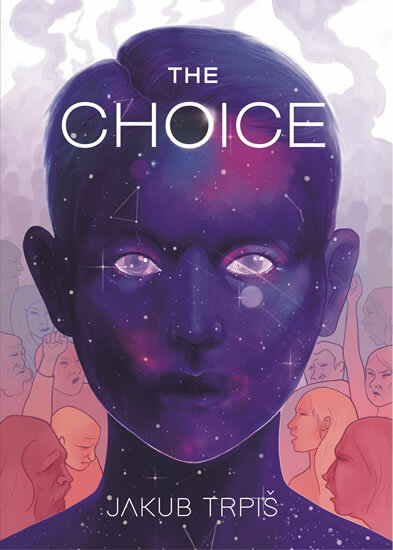 The Choice is the literary debut of young Czech author Jakub Trpiš, bringing together elements from spiritual literature, science fiction, crime stories, psychological thrillers and romances. The plot offers a strong message that can change the lives of individuals and indeed society as a whole.